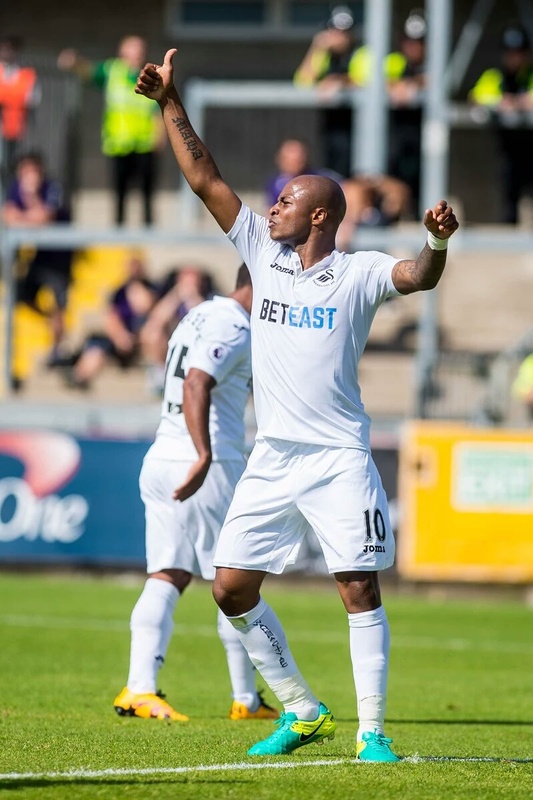 Andre Ayew scored a sweetly taken free-kick to register his first goal of the pre-season as Swansea City comfortably beat League One side Bristol Rovers 5-1 in a friendly on Saturday. The Black Stars deputy captain sent Francesco Guidolin’s side on their way to victory with a sublime free kick, while Leroy Fer doubled the lead. The talented Ghana international’s peach of a free-kick was the pick of the bunch, curling over the wall from 25-yards out. Stephen Kingsley’s cross-come-shot made it 3-0 before fellow full-back Kyle Naughton fired home a half-volley to round off a hugely successful first half. 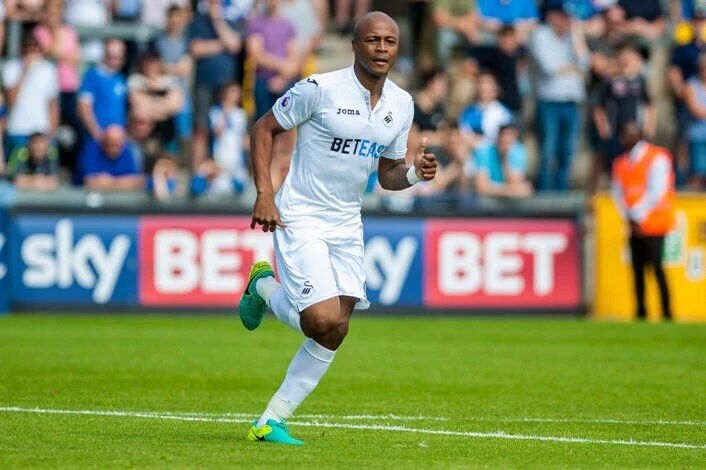 Rovers pulled one back shortly after the break via sub Luke James, but the Swans – who used all 19 players throughout the game – had the final say when Wayne Routledge slotted home a fifth.Ayew was substituted later in the second half as they strolled to the victory away from home.